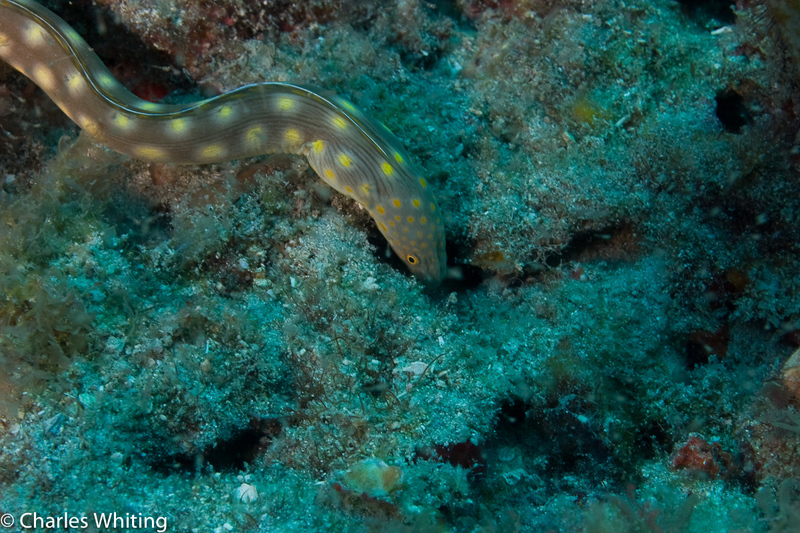 A sharptail snake eel foraging on the reef. Boynton Beach, Florida. Photo © copyright by Charles Whiting.